Brewer Description: (from lambic.info) Oude Geuze Vintage is 3 Fonteinen’s reserve series geuze. 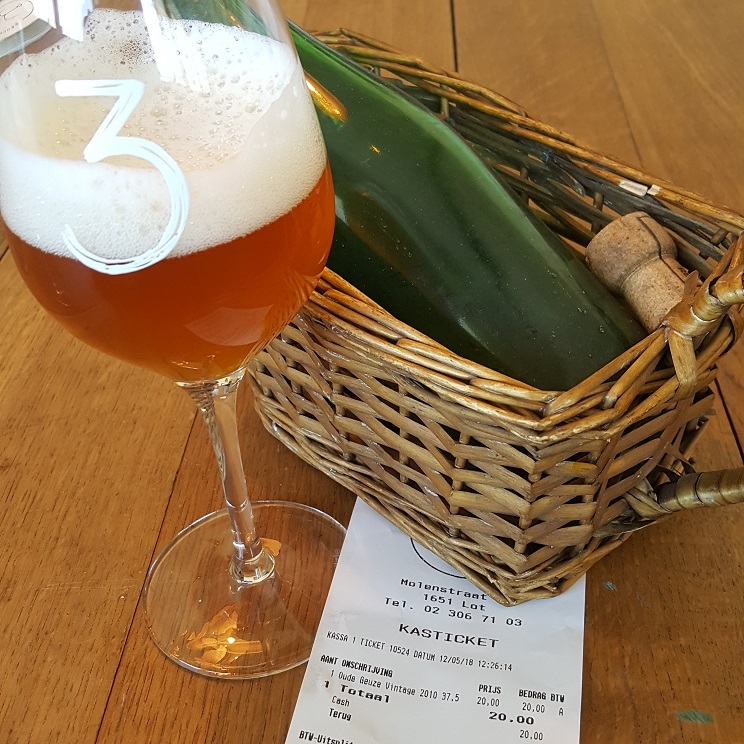 Intro: A 375ml corked and caged but unlabelled bottle at 3 Fonteinen lambik-O-droom. Bottled on 8th March 2010. Poured into a 3 Fonteinen stemmed glass. Appearance: A hazy dark orange colour with a just under two finger puffy white head that had good retention and left some nice sticky lacing. Aroma: Funk, barnyard, hay, earthy, citrusy lemon, oak with hints of herbal and green apple. Taste: Tart, funky, hay, lemon, grapefruit rind, wet oak and hints of green apple. Mouthfeel: Smooth, light to medium bodied with low carbonation. Overall: Just wonderful, with great aromas and taste continuing after 8 years in the bottle.